If your carpets do not look anything like the day when you first bought them, cheer up. We are the company that can make your carpets look brand spanking new without you having to move a finger. Count on our company to bring your carpets to their former glory. We are operating in the area of Paddington, and we have grown to become one of the leading cleaning services providers. We offer a first class carpet cleaning service that will help you achieve the most beautiful look of your carpet. We work quickly and efficiently. Each and every one of our expert technicians is properly trained to deal with even the most stubborn stains without breaking a sweat. They can give your carpet a fantastic look! We are supplied with super effective cleaning tools and products to ensure the highest levels of cleanliness. We have confidence in the excellence of our carpet cleaning services, and we are ready to prove it to you. We are a far cry from the rest of the cleaning companies in Paddington, and we are sure that you will not be able to find a better cleaning company than ours. Dial the number of our company right away! Carpets are one of the items that are commonly used in the house. However, it takes a lot of time to deep clean them. We recommend to use professional carpet steam cleaning services once in a year since this is the only way to remove all the dust and dirt accumulated into the carpet fibers. If not cleaned regularly with the relevant detergents, they can cause allergies or breathing problems due to all the dust and other dirt particles absoorbed in the fibers. We provide professional carpet cleaning services to all residents in Paddington at very affordable price. The products that we use are eco friendly, safe for the fabric and do not cause discomfort in the house after cleaning. During the cleaning process, we give your carpet the perfect treatment in order to return their original look and to prolong their life. We have spent plenty of years in the carpet cleaning field in the area of Paddington already, and we have availed ourselves of the opportunity to get to know our customers’ needs. This is why we have designed our services to be flexible, convenient and customisable. Your carpets deserve to be deep cleaned every once in a while. Your home can become more elegant and cosy after a cleaning session with our expert technicians. Do not waste more precious time, and get in touch with us. For your peace of mind, each and every member of our cleaning teams has undergone extensive training courses. The carpet cleaning service of our company is one of the most booked ones. A huge number of customers have already used it, and we can assure you that now they all enjoy the perfect look for their carpets. If you are interested in our offers, and your property is located anywhere in Paddington, contact us soon. Our call centre representatives will be more than happy to help you make your carpet cleaning appointment. We are open seven days of the week, and we can be booked for weekends appointments, too. We use the hot water extraction method (called also steam cleaning), which is the most advanced and efficient one for carpets and upholstery cleaning. Our carpet cleaning machines are produced by Prochem – the leadning manufacturer of cleaning machines and detergents. 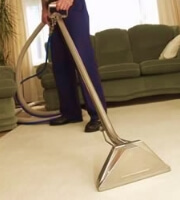 Below you can find a summary of the procedure we follow in order to clean your carpets. Hot water extraction allow to extract all the dirt from your carpet and to remove the stains. If you have any questions regarding our methods of cleaning just give us a call and we will be glad to assist you.